translating into Japanese, and getting ready for Japanese E-pub data, all in one. You can start selling your books in Japanese market if you just leave your texts to me. I can advertise your books in good way, I am responsible for your book forever. 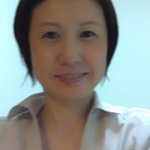 I am a writer myself, I publish some books in Japan. Also I have translated 16 novels in this 5 years for one of U.S. authors. I love, work and live for any of books, the book is my passion. I've been translating for 20 years, especially good at novels. I publish some books in Japan, and have translated 16 novels in this 5 years for one of U.S. authors.